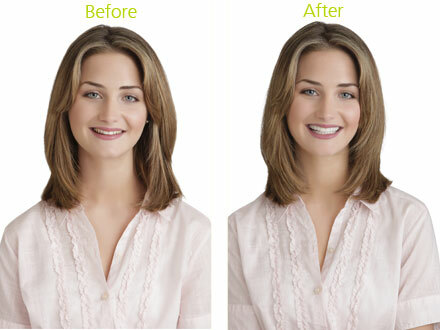 Patented Snap-On Smile is an affordable, non-invasive and completely reversible, cosmetic, removable arch that literally snaps over your own teeth without covering your gums or palate to give you a beautiful, natural looking smile, even if you have stains, chips, gaps or missing teeth. Snap-On Smile's unique, proprietary formula of high-tech dental resin makes it very thin yet extremely strong. No adhesives are required, so you can eat, drink, and function normally in every way, and wear it all day, every day! It's ideal for cosmetic removable partial dentures, and even as a long-term smile enhancement. There's no shots and no drilling, and your dentist can fit you with a Snap-On Smile in just two quick visits. For many people, Snap-On Smile can be life changing. It gives you back the confidence to smile. Thousands of people worldwide have already experienced the unique benefits of Snap-On Smile. Ask your dentist today if Snap-On Smile is suitable for you. It can not only change you smile, it can change your life. Learn more about Snap-On Smile and how it can change your life by clicking the links below. www.snaponsmile.com and Snap-On Smile testimonial video.